If you've walked around London in the early hours of the morning, then you've probably seen a line of people snaking around the outside of most West End theatres. These people, often seen sitting in camp chairs or (in more extreme cases) sleeping bags, clutching travel mugs with determination in their eyes are probably queueing for day seats! 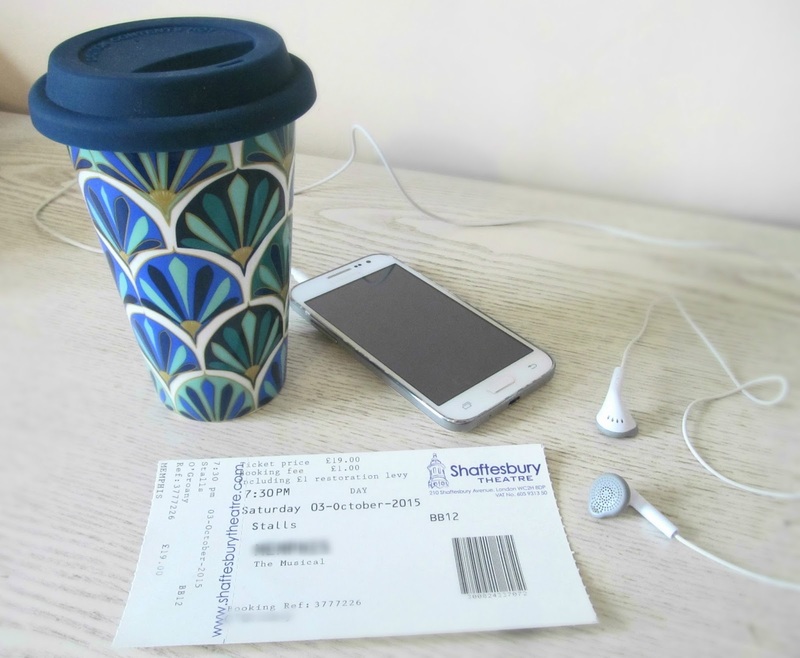 Day seating is one of the easiest ways to secure great tickets for popular shows at cheap prices. If a theatre is offering day seats (check the website of the show you want to see to make sure that they are, and if they are, then make sure you check how expensive each ticket is (usually around £20-£30), and how many each person is allowed to buy (usually it's 2 per person)), then all you need to do is arrive at the theatre early in the morning and wait for the box office to open. Yes, the queueing can be tedious, and if it's cold (and this is England, so it will be!) or rainy then you might not be too comfortable, but for a couple of hours of sitting you could end up with front row tickets to one of the hottest shows in town! A friend! Sitting alone outside a theatre for hours on end can get very tedious, very fast, so bring a friend along to help you pass the time. Plus, don't forget that usually each person can purchase up to 2 day seats (but make sure you check the website because this isn't always the case!) so if you are planning on bringing friends with you, you'll need to make sure that it's possible to buy all the tickets you need. A hot drink (preferably caffeinated to the max as you'll have probably been up since the early hours of the morning, frozen to the spot on a street corner in soho. If you're queuing for tickets to an evening show and you don't live close enough to central London that you can just go home and sleep then drinking excessive amounts of caffeine is going to be the only way to make it through the day, and don't end up snoozing in the front row at 7:30!). If you've brought a friend along to queue with you then you take it in turns to nip to Caffe Nero and replenish your coffee stores. Some breakfast! You'll probably join the queue at 7 o'clock, and as most box offices open at around 10-10:30am, you're going to want to bring at least a cereal bar or an apple with you! A warm (preferably waterproof) coat. The last thing you want is to be sat in one spot for hours on end, shivering to death. Your phone. If you live in the 21st century then this is probably already with you 24/7, but it is imperative that you take your phone with you when you go day seating. If nothing else it'll provide you with an almost endless source of entertainment. Not only can you use it to listen to music, check the time etc., but if you're day seating a show because you want to see a specific lead or understudy, you can check for any twitter announcements that they might make. (You may also want to think about bringing a powerpack charger with you. You're going to be out in London all day and your phone might not have enough power to make it through the day without a bit of extra charge. Your purse! Imagine how crushed you'd be if you queued from 5am for tickets and when the box office finally opened you realised that you didn't have any way of paying for the tickets. It's also a good idea to check the website of the show you want to see, and make sure you've taken note of all of the details, because often day seats can only be paid for in cash, and not with a credit or debit card. A map. If you're not familiar with the area then a map is essential, especially if you're arriving in London while it's still dark! Make sure you know which tube station is closest to where you need to go, and which direction you need to walk in once you're out of the station. The last thing you want if to get lost and end up miles back in the queue, worrying about whether or not you'll get tickets. A backup plan! This is very important. Day seating can be a pretty risky way of getting tickets, depending on the popularity of the show you're queuing for. If you arrive at the theatre and the queue is already miles long, then you're going to have to make a decision; queue anyway, and risk having to pay extra for non day seat tickets, or quickly run to another theatre and try your luck in quieter day seat queue. So there we have it, a complete list of what to bring with you in order to survive the day seat queue. I hope this was useful for any first time queuers.